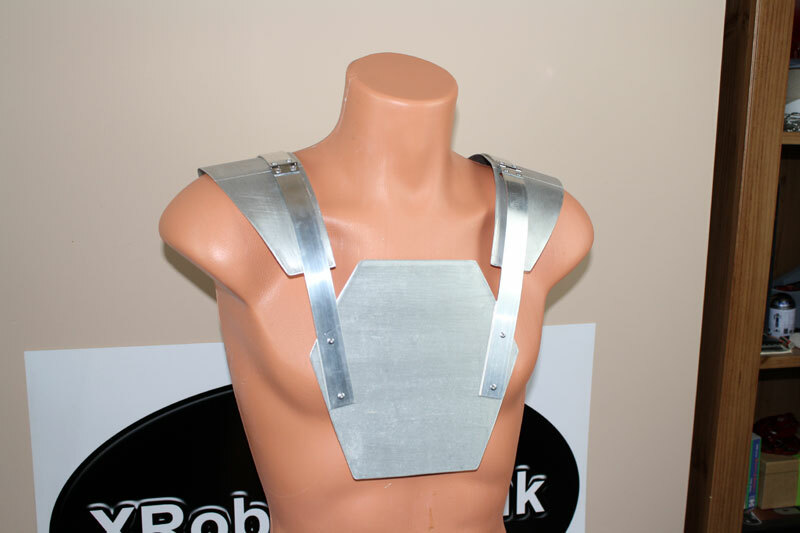 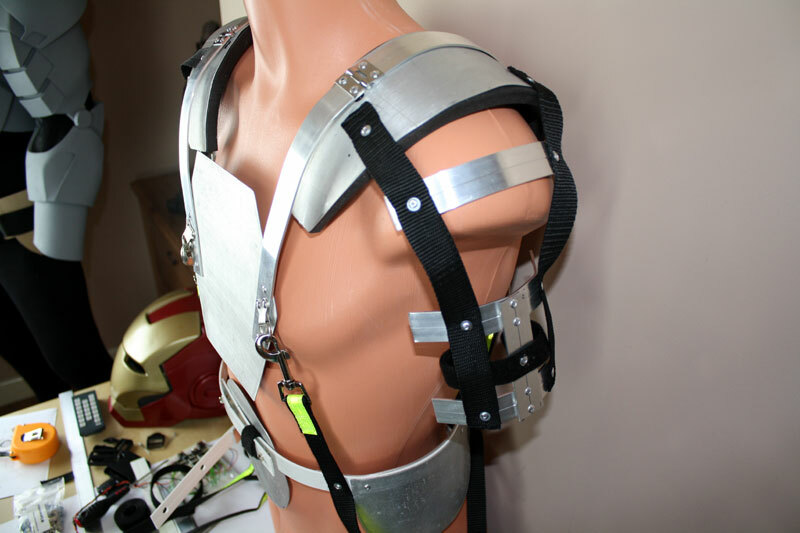 This page is about the strapping stage of the project for the upper body, check out the main project index for the rest. 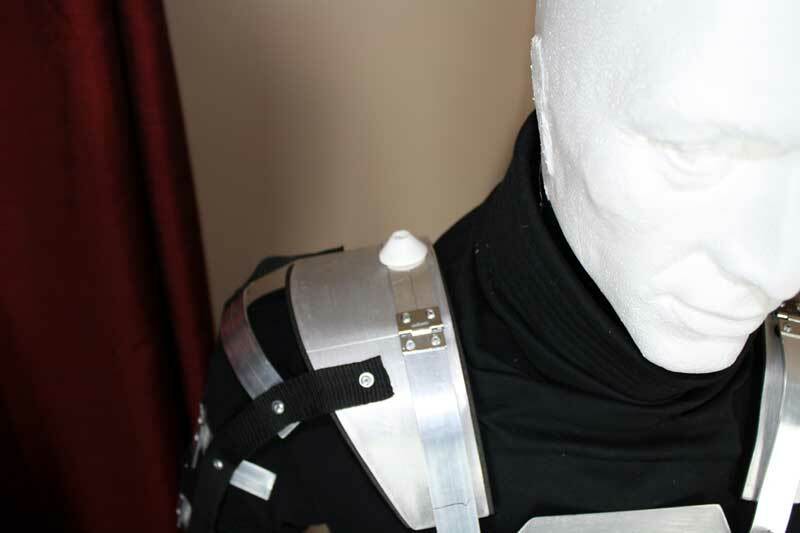 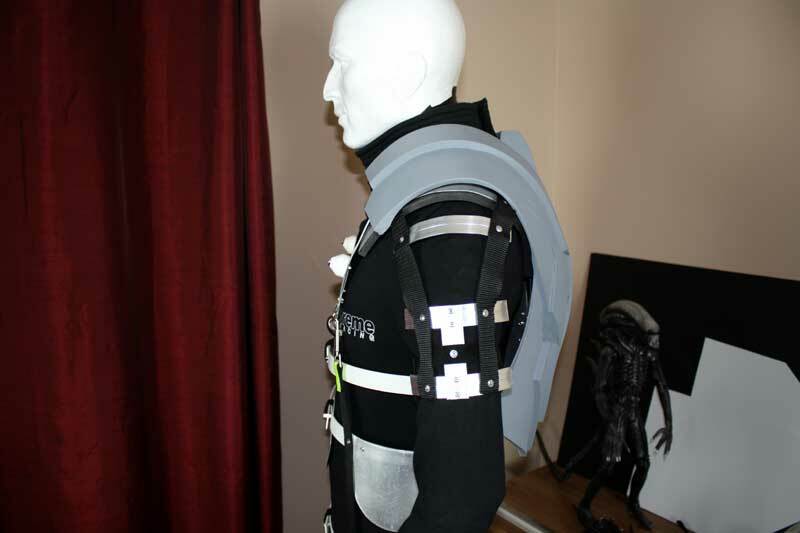 My plan is to build a semi-rigid exoskeleton which the wearer puts on before the rest of the suit. 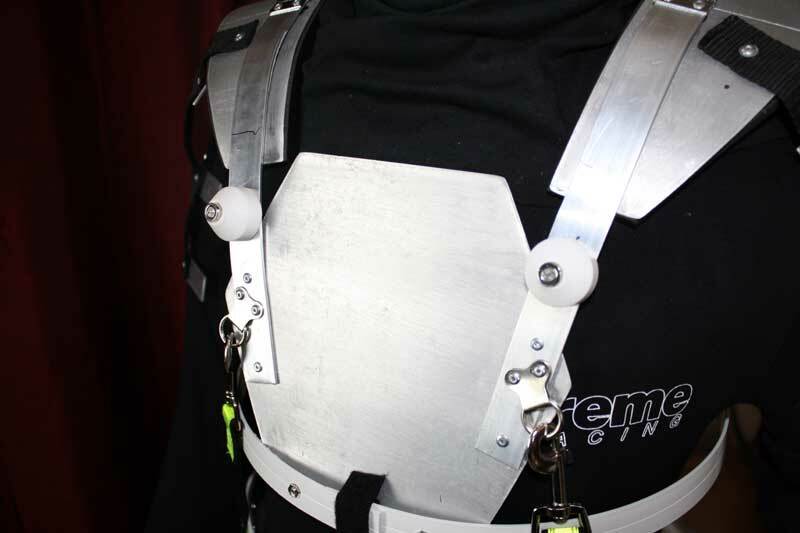 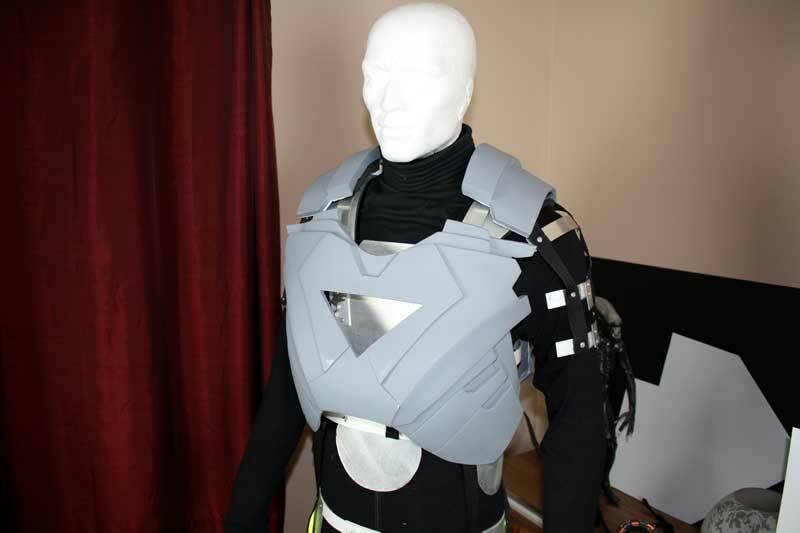 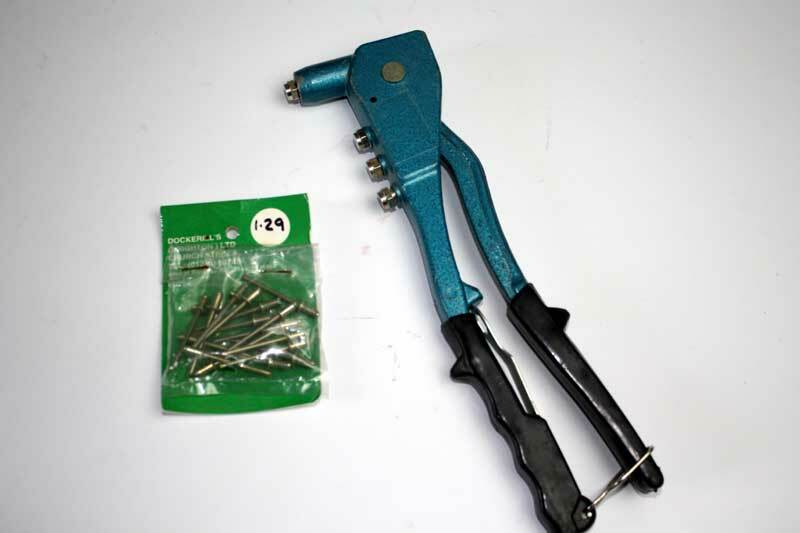 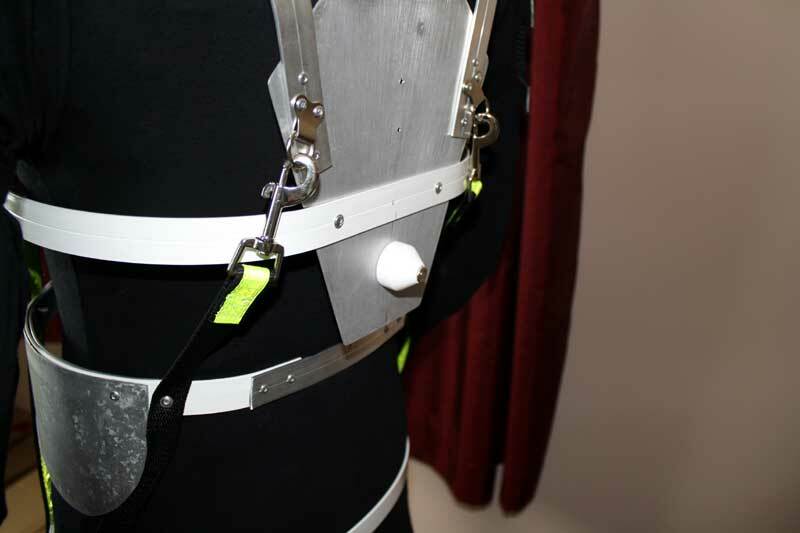 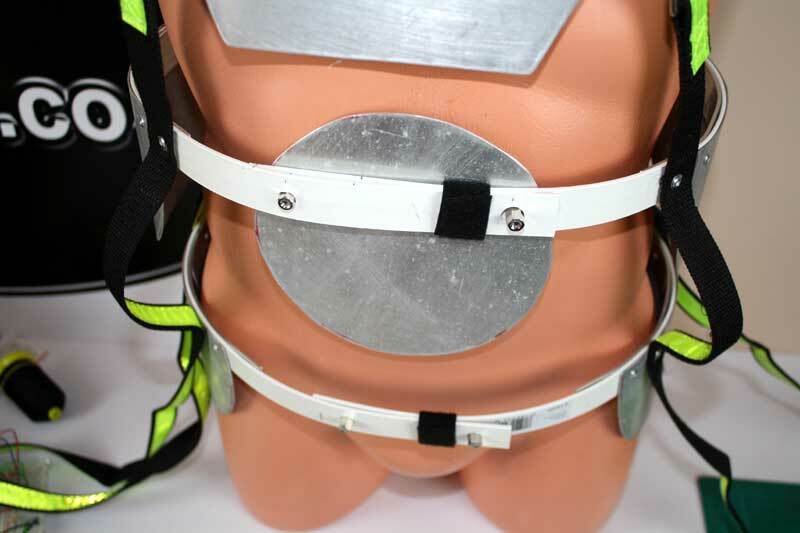 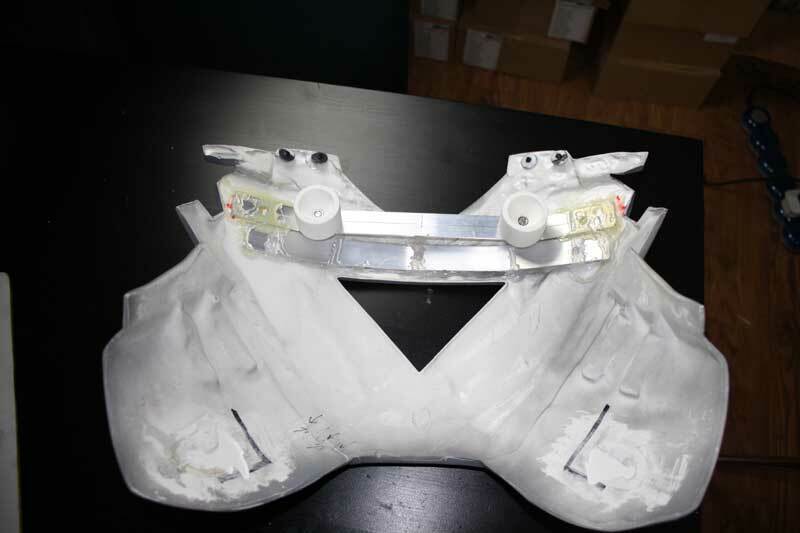 This will enable mounting of the rigid outer suit pieces to a frame which will help with positioning the parts, and also make the suit up process easier. 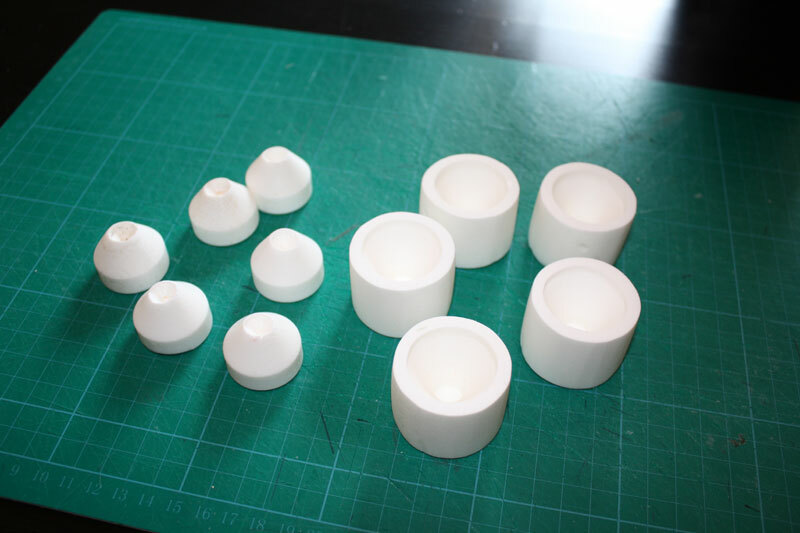 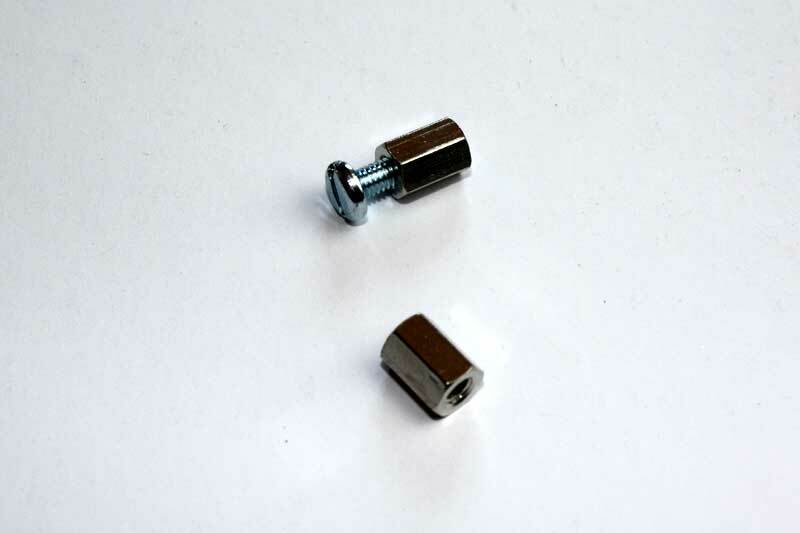 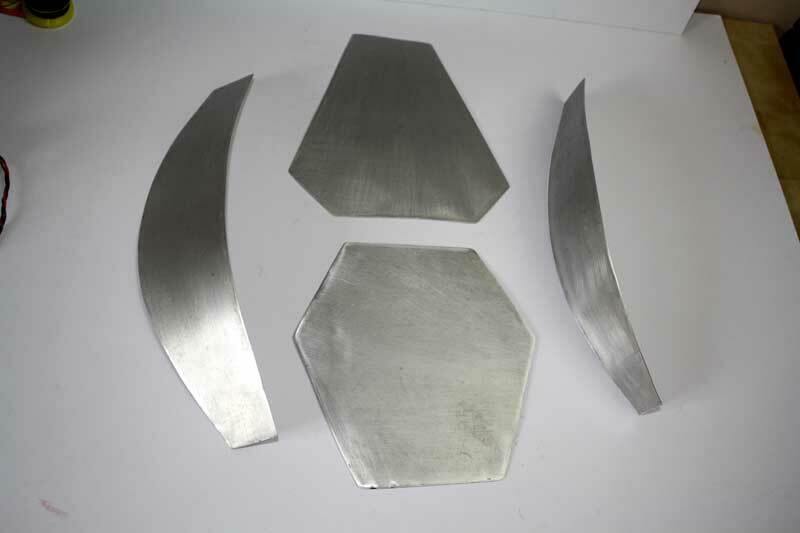 The eventual plan will be to locate the armour pieces onto the frame with a series of tapered sockets and pegs, and hold them in place with strong magnets. 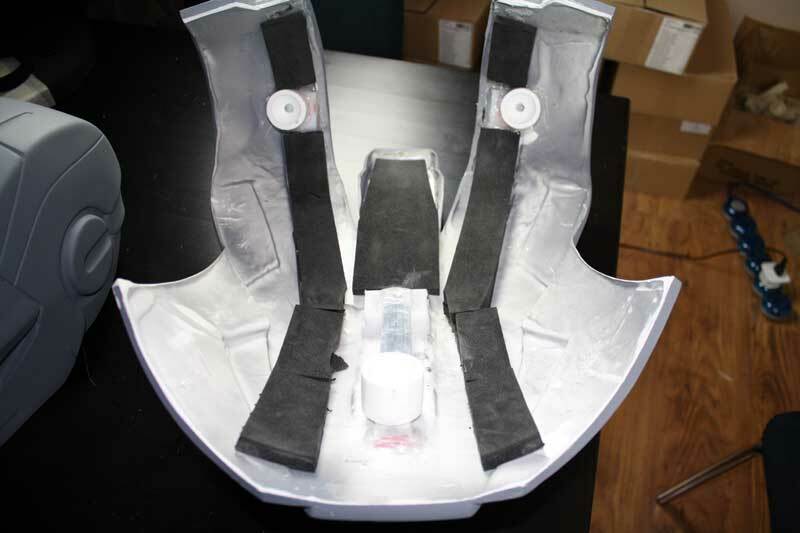 Here’s an overview of the plan. 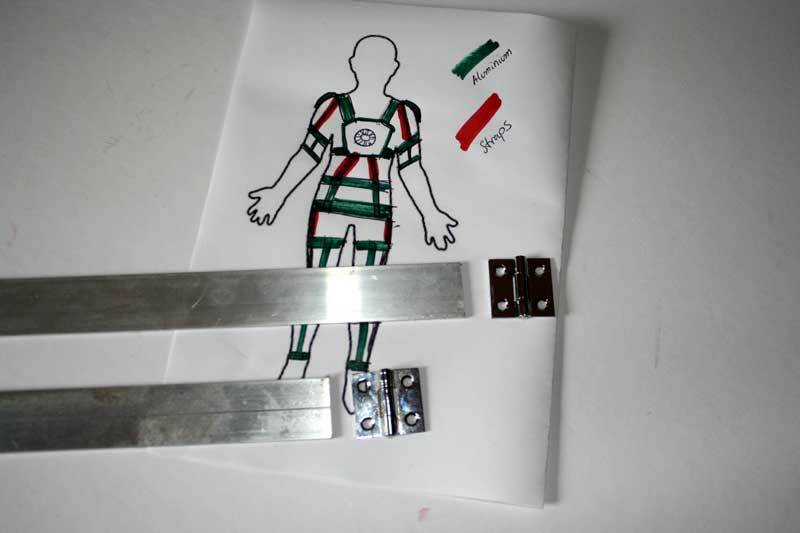 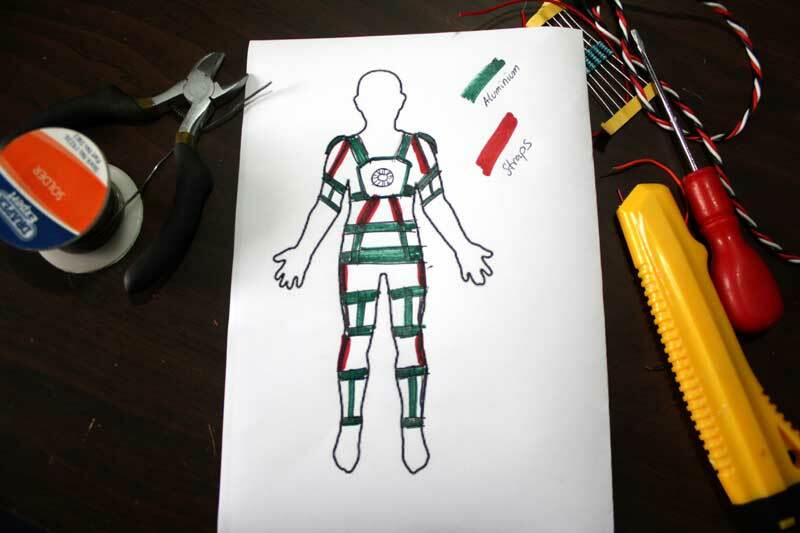 The green parts are made from rigid aluminium strip backed with foam, the red parts are flexible straps. 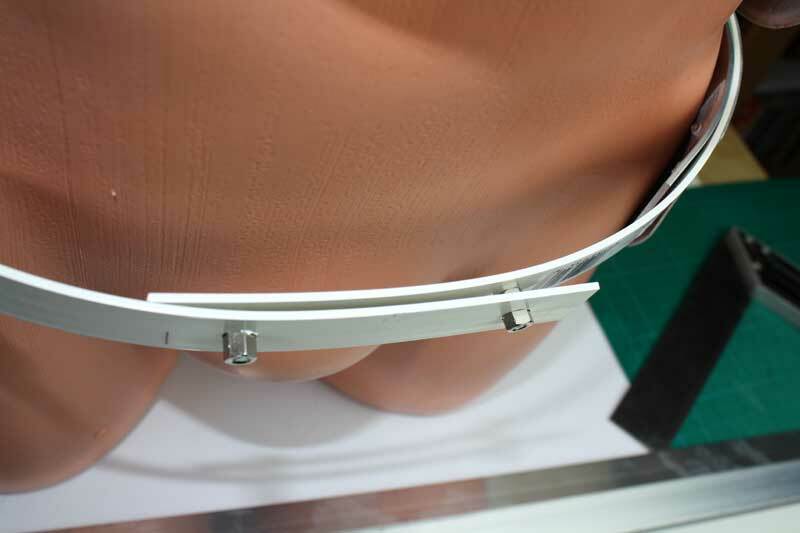 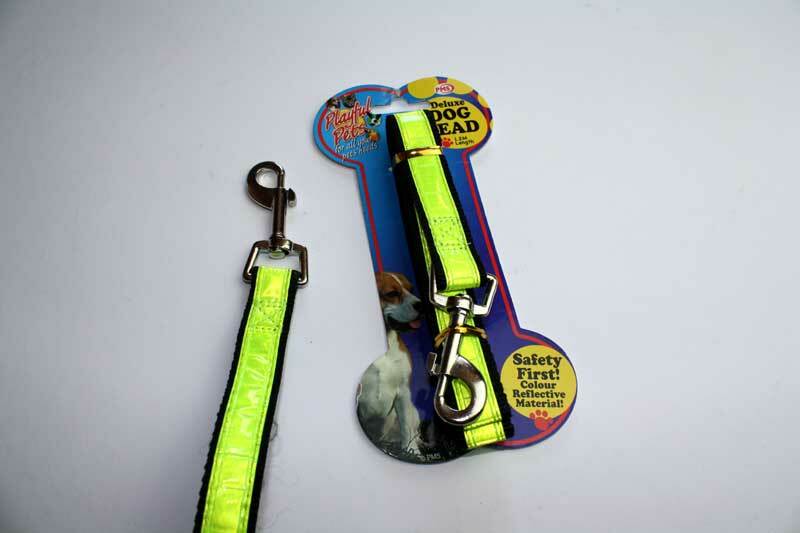 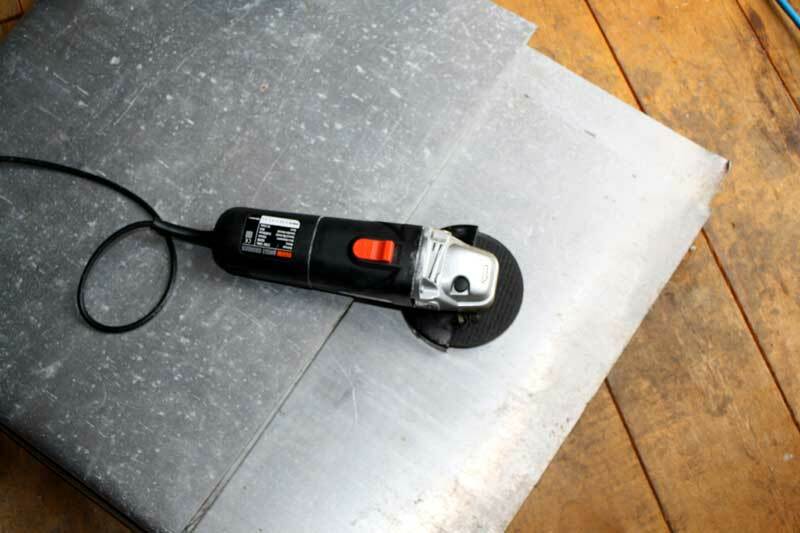 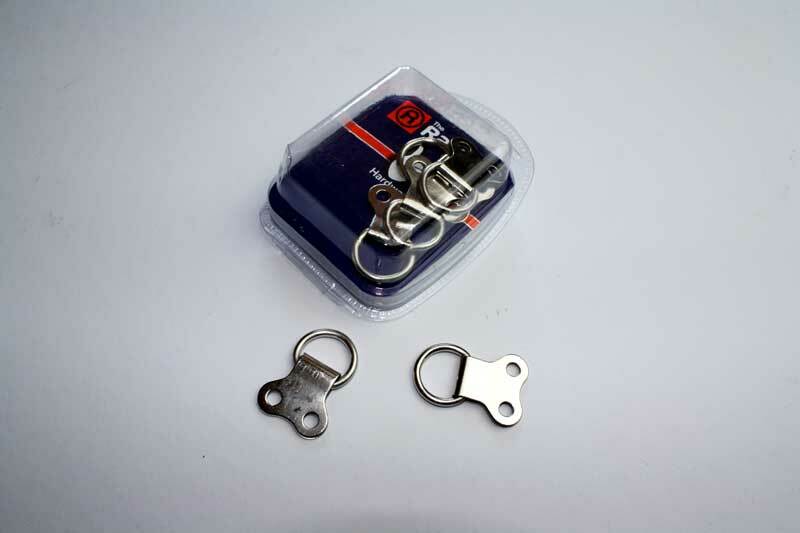 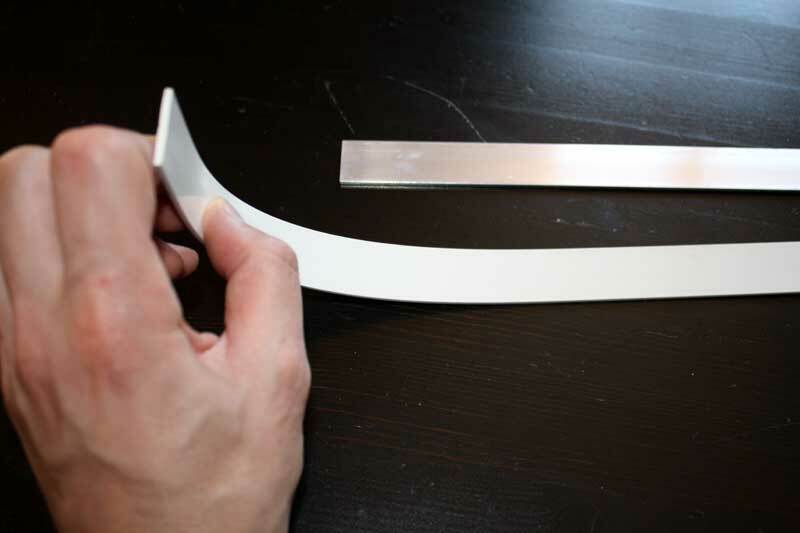 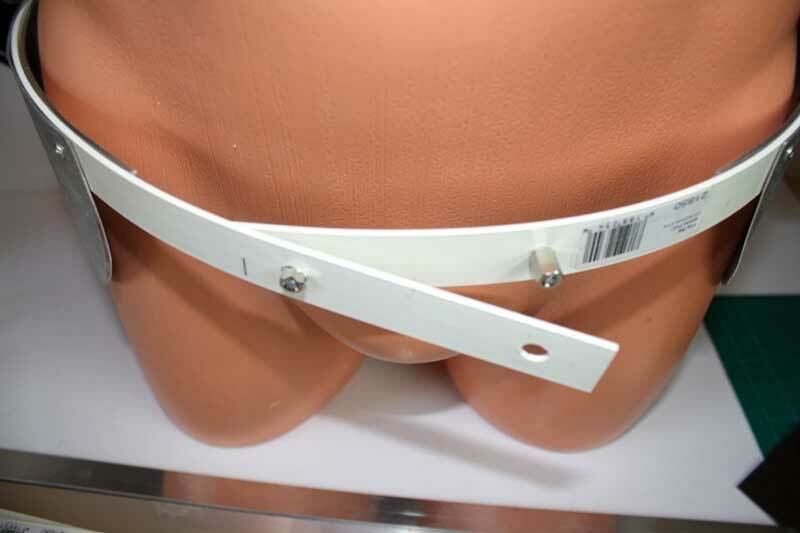 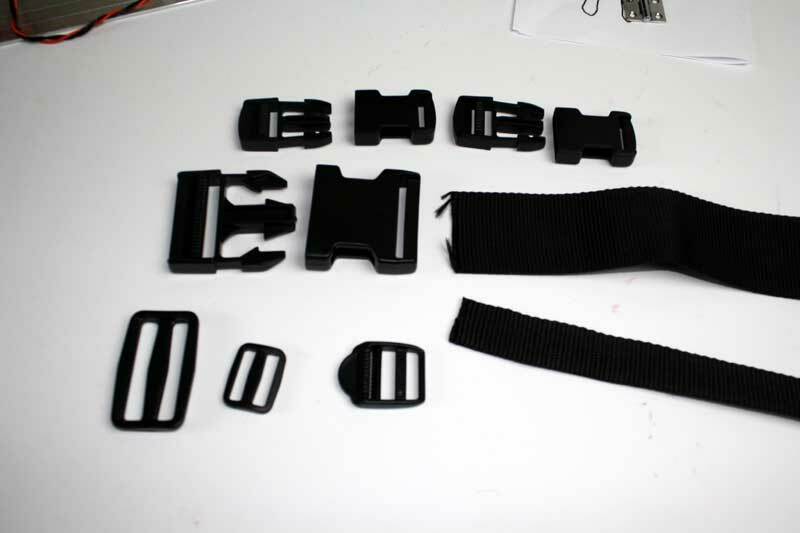 Any rigid parts will open with hinges so they can be worn, and fastened with velcro or webbing straps and buckles.